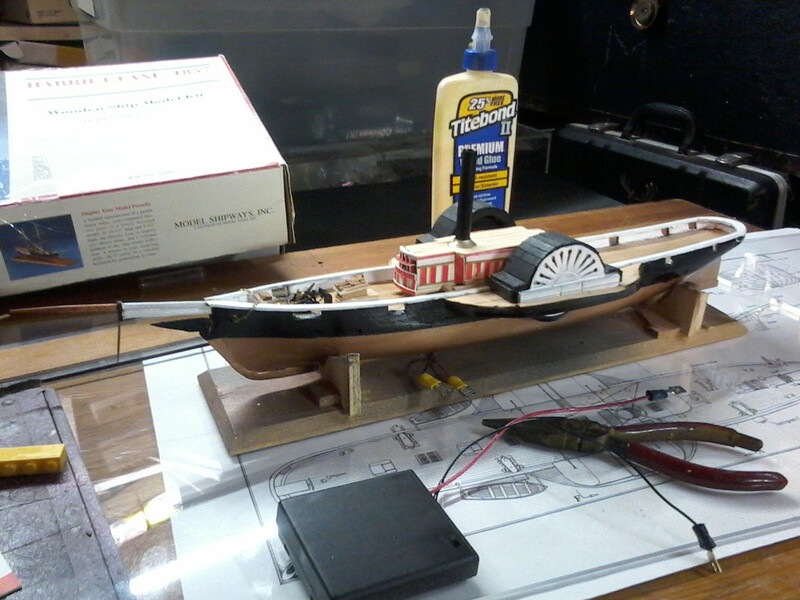 Well I wanted the paddle wheels to turn although I will never put it into the water.I used an AMT Slot Stars mechanism and made the wheels from turned.80 styrene with mahogany planks as paddles.When I make the display base ,I Will cut a rout for the wires and connectors. I found these connectors at Harbor freight and the battery box at work. 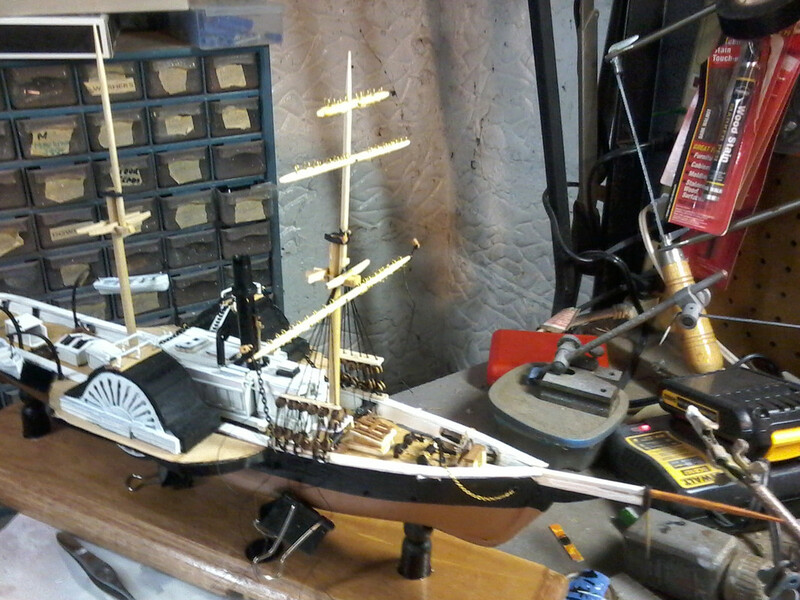 Beautiful job on the Ship and the gearing. 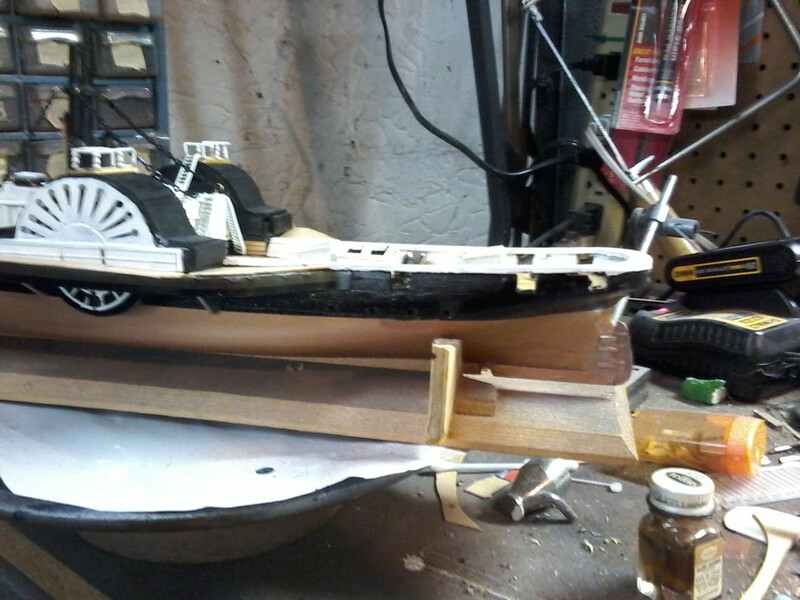 No cheap nylon teeth here.Those Paddlewheels are going to "sing". 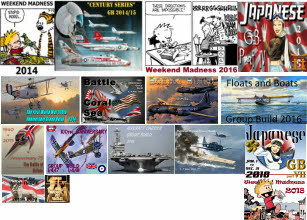 How was the MSW Harriet Lane to put together? Much sanding? 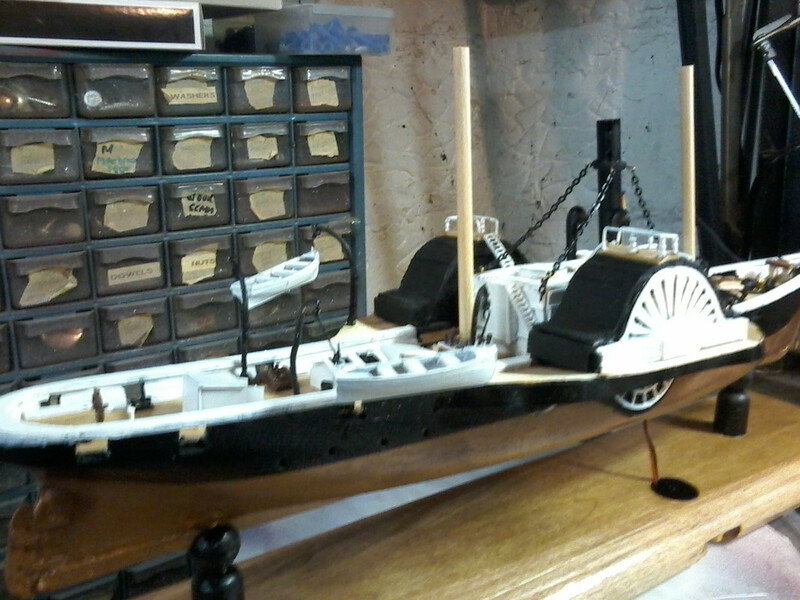 And I am curious, is the kit about the same size as the 1/144ish Pyro/Lindberg Harriet Lane-Civil War Blockade Runner? 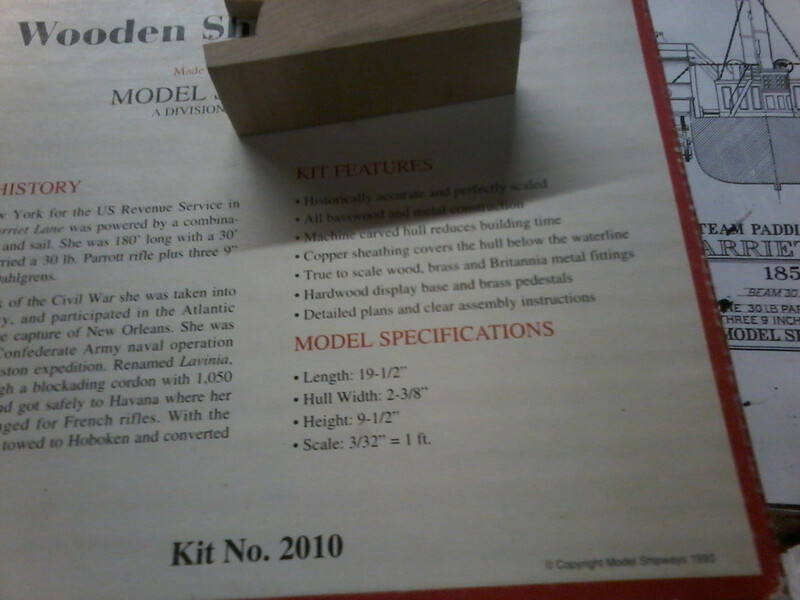 The old Pyro kit's hull is 15.5" and it is about 18" long including bowsprit. 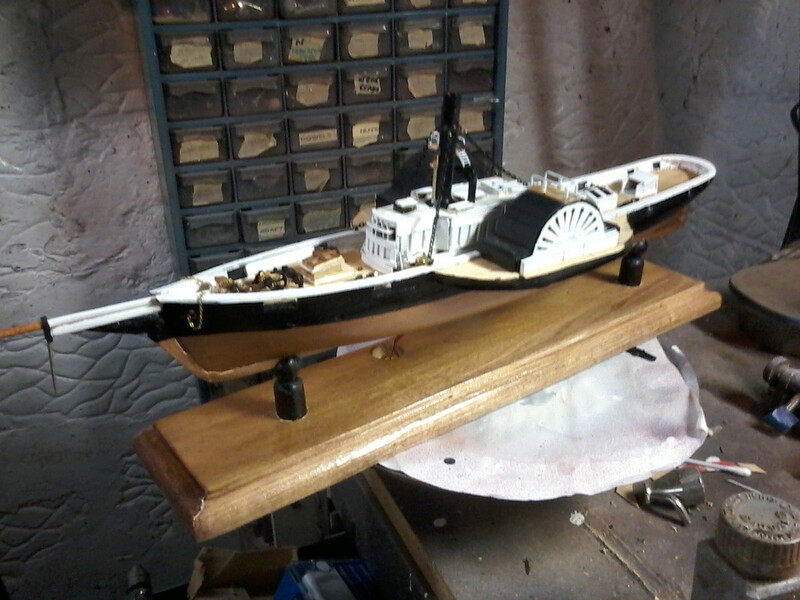 The story is that Pyro copied the Model Shipways kit. Thanks for the kind words!She is about 19 inches long.I have heard that Pyro did pirrate this kit but I peronally do not know it for a fact . 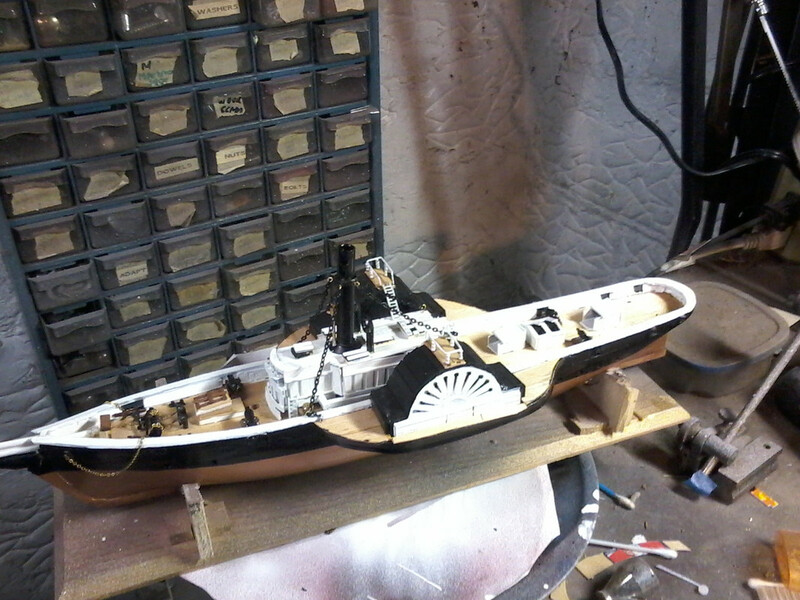 I got the deckhouse painted and installed. I got the whistle together. Okay!I used wire for the handrails atop the wheel boxes and the kit supplied stanchions!Next up ,I have to construct the skylights. just caught up with this thread . looking very cool . 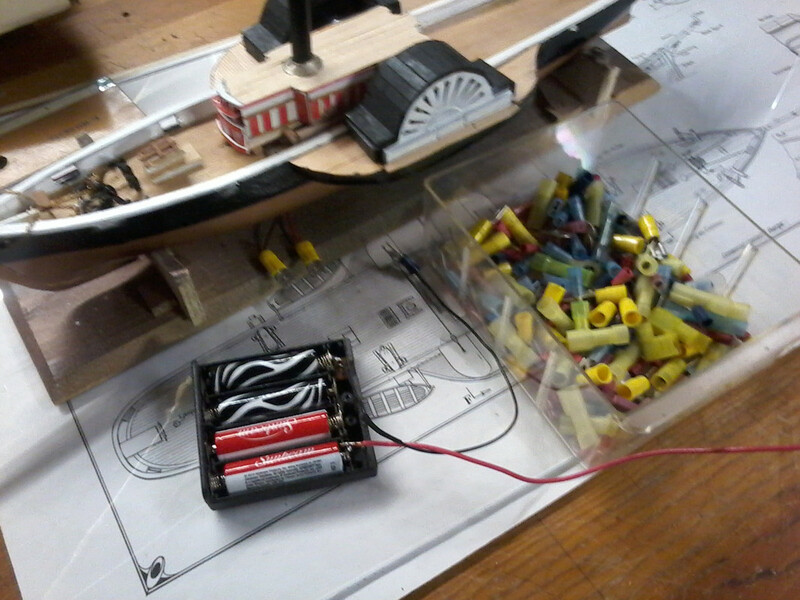 Question: how fast (rpm's) will the paddle wheels turn when you throw the switch? Since you have no desire to ballast and launch your ship I'm assuming you've got the mechanism geared down enough so it'll look realistic? 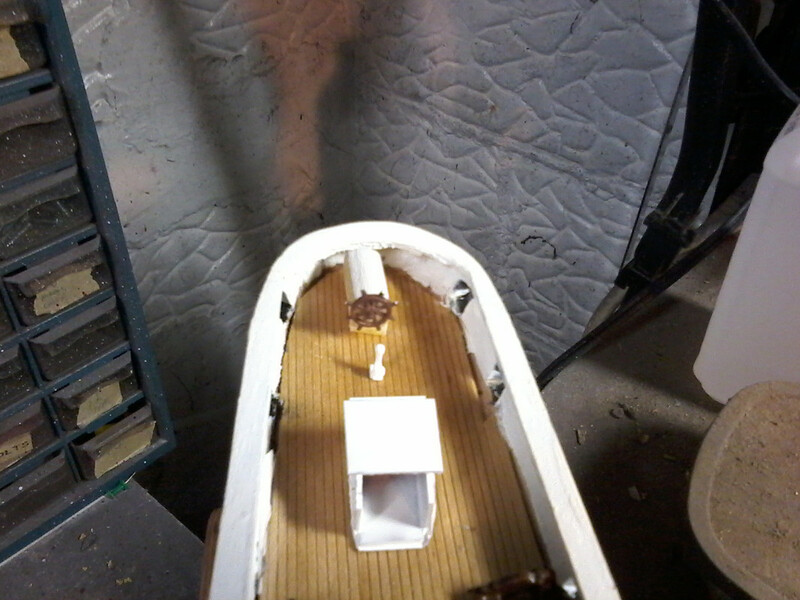 Yes i think 3 volts might be better.I used some parts from a Minicraft titanic to add skylights and ventilators. 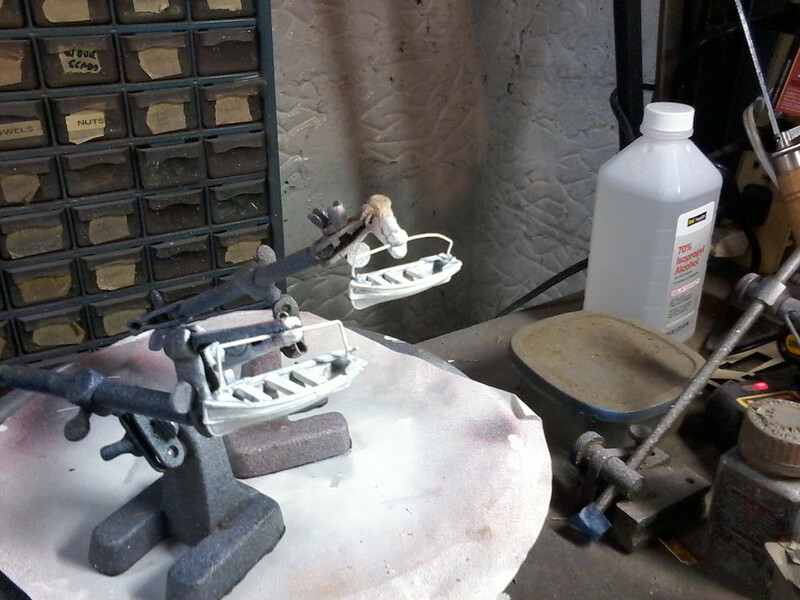 i turned a plastic ring with mt dremel and added eyelets to chain down the stack. 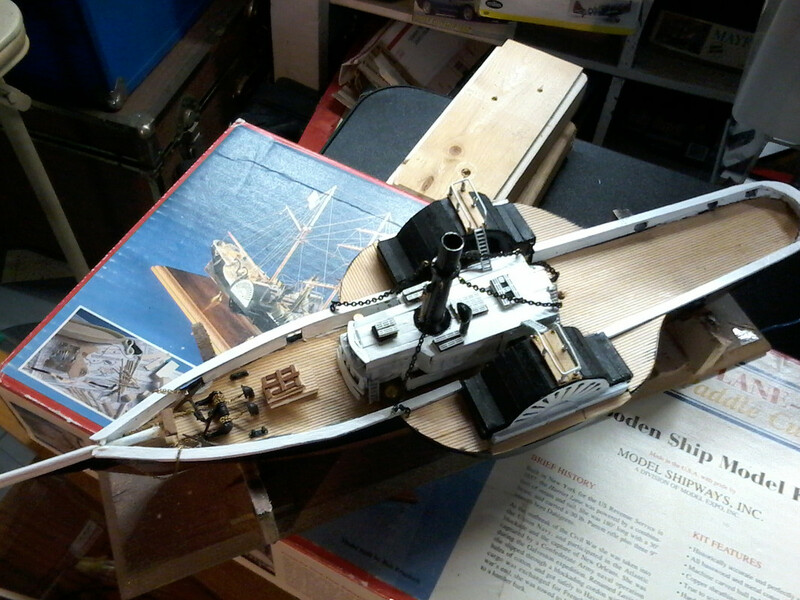 Added hatches and a skylight aft and added the Dalghren guns. 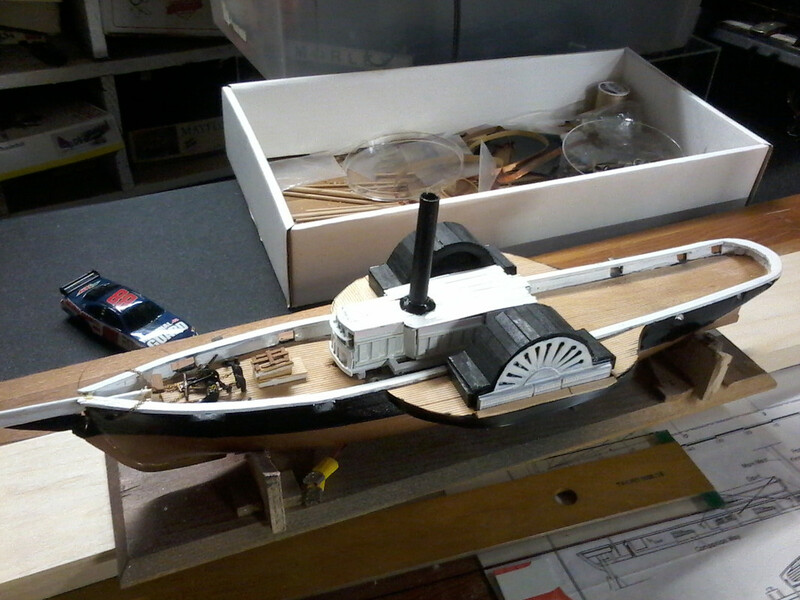 Cut out the rudder and added gudgeons and pintels. 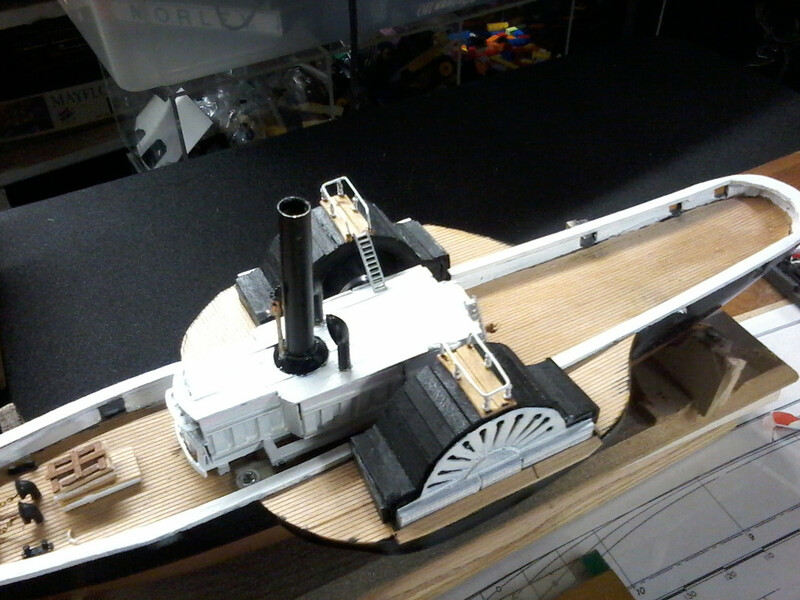 Made the wheel house mounted the wheel and put on the pedestal for the binnacle. construction the masts will commence soon. 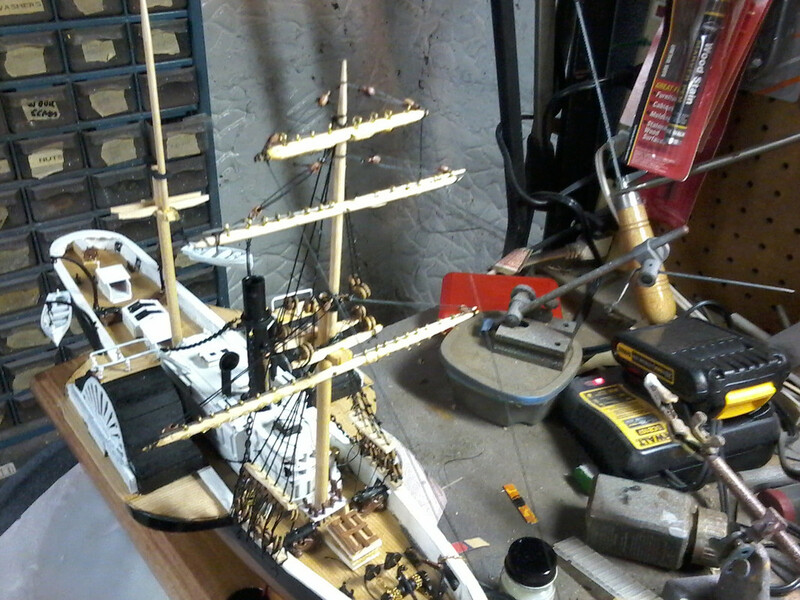 Got the ships boats ready and painted. 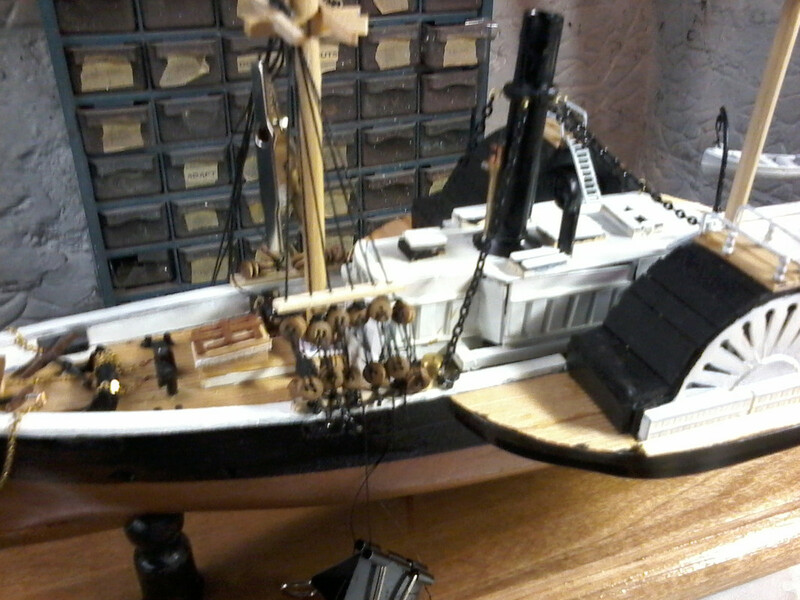 Mounted up the davitts and boats. 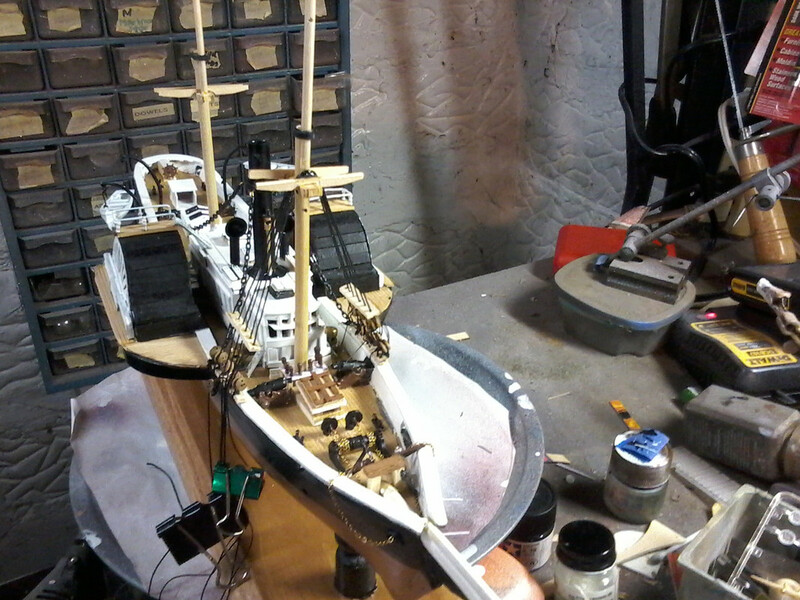 Started building the masts and installed the eylets. 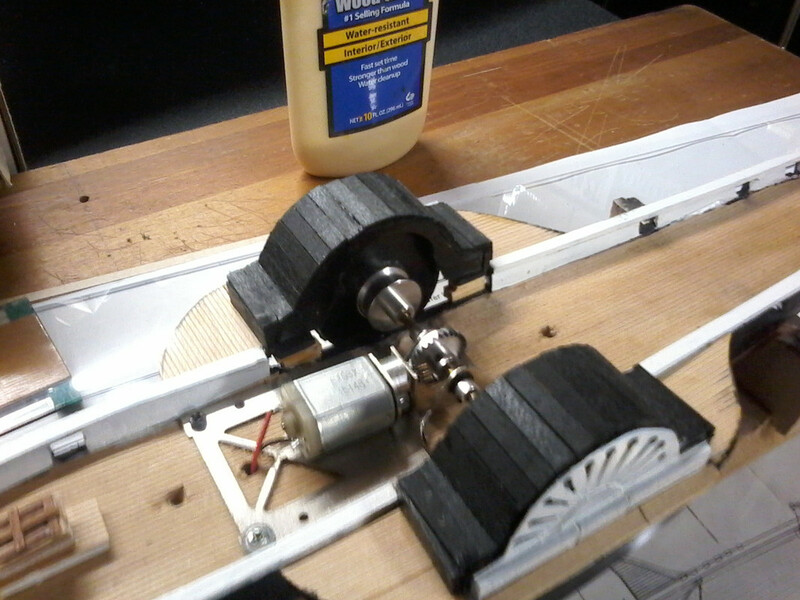 Cool work on functioning side wheels on your Harriet Lane. 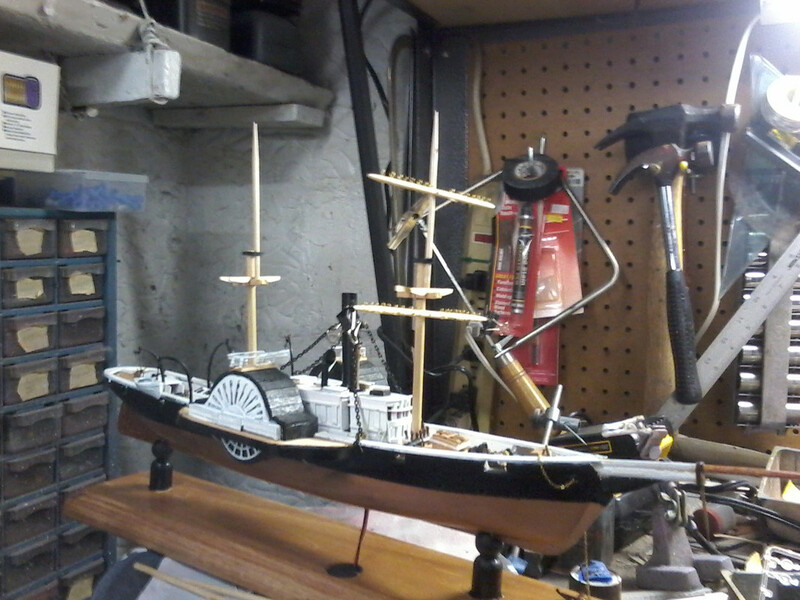 Further foremast work and ratlines. 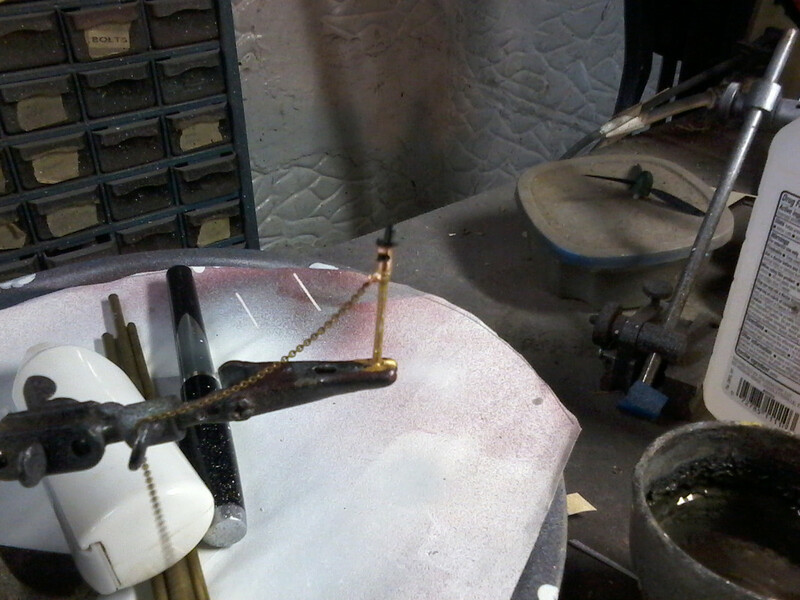 ... turned a plastic ring with mt dremel and added eyelets to chain down the stack. The Chain to support the stack looks a bit large. Is that what came with the kit? The ship is looking better and better. The deck "furniture" is looking real good! Great work. 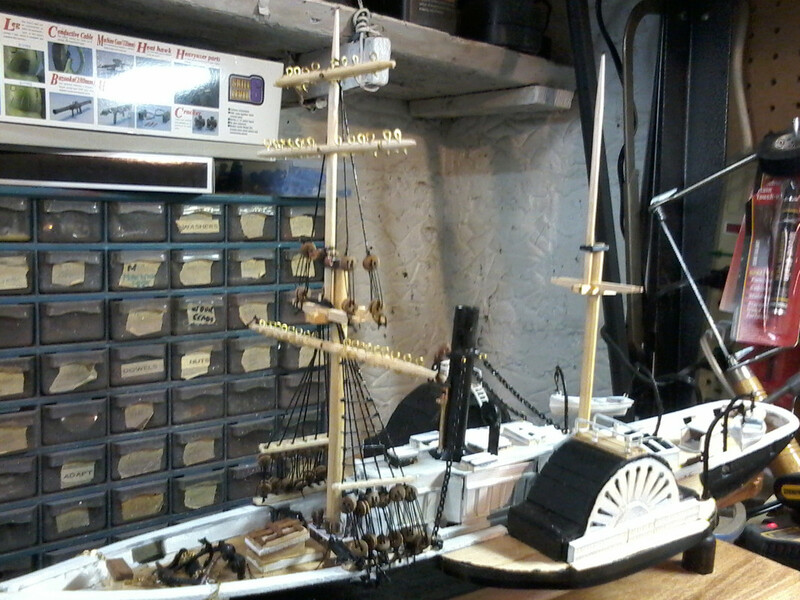 Yes the chains are a but large but do impart a steampunk vibe I liked.Rigged up the spars.